I love this picture. That right there is my Papa. He's standing in his backyard, and welcoming us to take in beauty. 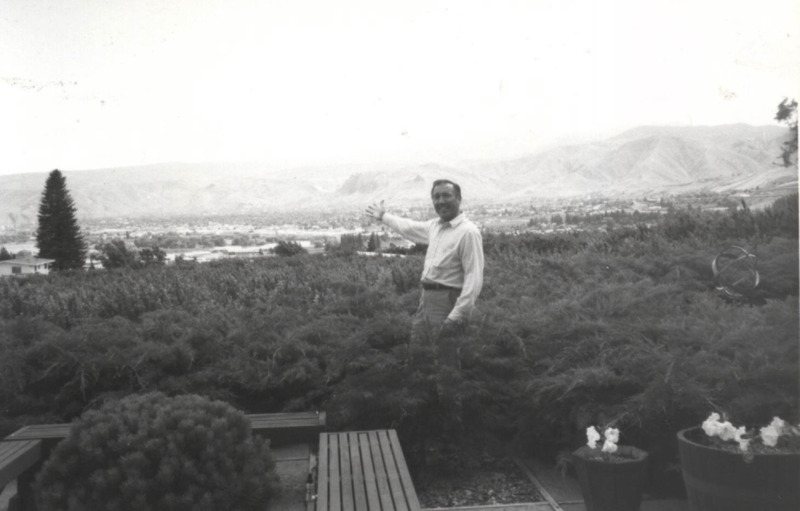 He loved our little valley. He spent his life cultivating community, serving, building and encouraging. In the large business he built, I hear he is still spoken of often, that the wisdom he imparted is still foundational, and his ideals still steer company culture. His heart has done the same in our family. Our little tribe all care about being fiscally wise and saving our pennies, we love to hum and whistle and sing in harmony. We all care about good grades. We love Andy Williams. We think a good pair of binoculars is a worthy investment and love bird watching. Everyone hikes and loves a good adventure in the woods. We canoe. We love the Fall. We cross-country ski. We love the lake. We know how to holler "hit it" from the back of a boat and keep trying until we're sailing on waterskis. We love to travel and take heaps of pictures, we watch home movies and still pull out slides. We all believe in being tidy and punctual, we always carry a cardigan. . . . . . . and we inhale german chocolate cake. We love what he loved and what he gave to us. What is the secret to leaving that kind of legacy? To inspiring the conduct and the tastes and affections of others? I think it was that beneath all his successes and all his relationships, was a grateful heart, a generous heart. Every year on my birthday, my Papa wrote me a letter. Typed with brown ink on cream paper, he told me what his life had been like when he was my age, affirmed my accomplishments in the past year and listed out all the blessings he saw in my life. Every letter ended the same way. Have a HAPPY Birthday, a WONDERFUL year, and a GREAT rest of your life. He called out the gifts he saw in me. He shared his own. He reminded me to give thanks to the Giver of all good things. I was of course, not alone in this gift. The generation before me had been receiving birthday letters since they were born, and my own children became recipients of annual words of blessing upon their arrival too. There was just so much good to share- so much life to pour out and give. And there is so much to remember still. This weekend my youngest, nearly eight years old, was struggling with a decision she had made, and feeling that she'd chosen wrong and had missed out on something greater. She couldn't sleep. She was restless thinking of all that might have been had she chosen differently. I reminded her, "Sweetie, it will always be easy to think of what you may have missed, but then you won't be able to see the blessings you do have. You might be looking in the wrong place. What did Papa remind us to do?" She was only six months old when he died. She doesn't remember napping with him in his hospice bed in those final days. She doesn't know just how fiercely she was loved and adored by him. But, she knows his legacy, and she answers, "Count our blessings." And she does. She lists every one; all the beauty from her day come bubbling out and she begins to giggle and delight in it all. And then she sighs deep and sleeps. Remembering the grace of her day brings rest. Leaving a legacy begins with welcoming others to experience the gifts God has given. It begins with a heart that says, "Look at this! Look at what God has given, at the story we are a part of! Look at all we have to be thankful for!" And the generosity of God expands into our own hearts and as it becomes real to us and as it grows, it is given again and again, in kindness and deed to everyone we meet. So what about you? What are the blessings that you can call out in your life and the lives of those around you? Where can you welcome others to gather beauty? Where can you see grace today? Your heart can shape a community, a culture and a family for generations. Pssst.... 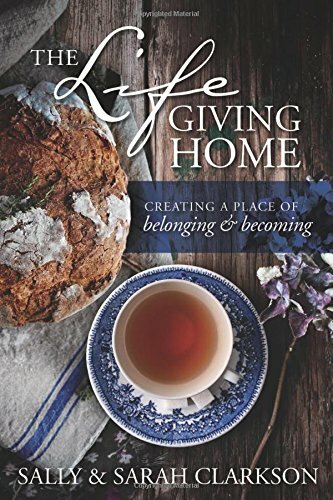 If you are looking for ways to build intentional legacy in your own home, my sweet friends Sally and Sarah Clarkson have a new book releasing TODAY that is going to be an instant classic. I am in awe of their words, their inspiration and the grace and freedom that flow through this beautiful vision of home, healing and hospitality. Most days, I am a mama in sweatpants and a t-shirt who is homeschooling and running kids around, chatting with friends, making dinner, or getting over run by laundry. I absolutely love my life. I love this season, I love the people I share my days with, my children and all the ways I see them growing and learning and soaking in the time and heart we've invested into them. I love the quirky and silly things they say, the way we snuggle and dance and figure our this whole being humans thing together. And then I get to come to this little blog and be with all of you. To and have the opportunity to write and podcast and travel and speak and tell stories, and hear stories too makes my heart beat wildly, to find beauty and share it; and to come alive seeing women find rest and hope as we gather it up together feels like a dream. I remember praying that someday, God would use me to encourage with my words and my writing, and at the time, it was a prayer that felt whimsical. It felt like a poem, or a whisper, and it left my lips and drifted to the clouds, weaving and finding its way among the pines above my deck in the mountains. I remember the release in telling God my dream, how free I felt to give it to Him, and then I went back to my everyday, the kind of everyday that I am so fond of, and that was that. But we have a God who hears our whispers, who knows them long before we do, who holds them tenderly for us and cultivates them by grace. He plants them, waters them, and brings them to bright bloom. Those desires and whimsical wish prayers are usually planted in our hearts by Him to begin with. I got the bug to write in the 4th grade when Mrs. Goveia, my favorite teacher ever, asked me to enter a young writer's competition. I did because I loved her. . . . . and then I won. She called something forth in me, noticed me, challenged me and spurred me on. My parents made room in my days for stories to unfold on reams and reams of paper my dad brought home from his office. They let me lounge and read. They taught me how much words matter. A gift was planted and a gift was called out. Along side the most supportive friends and an agent that has come to be family, somehow, today, my long held dreams and my whimsical prayers are meeting in my very real, sweatpants wearing life. I am so thrilled to announce that I am going to be publishing my very first book with Zondervan!!! I'll be writing a lot about living in the "in between" here, about finding rest and foraging for beauty as I write, and as God continues to write the story behind this book in my own life. I'm so thankful to be able to share with you and to journey with you. A Heart That Says "Welcome"
So you may have heard we've had a bit of snow here in New York? It was the coziest of weekends. I love those days when everyone is forced in, when everything slows, when we can just all be together. We adventured outside to sled, and ran back in again to warm up with hot cocoa and games and movie marathons. One thing I realized about myself through this blizzard was that I needed to prepare my heart to love on my family, and to make a home for them in these shut in days. Because we really are so normal: There were a few tiffs some bumping into one another in our small kitchen, some whining about what else there was to snack on, there was a line for the bathroom almost constantly, a few grumbles about stepping over all the wet things, frustration over lost mittens, and at one point, some yelling about who hid all the Shopkins. While I am prone to think of hospitality as an event like hosting a dinner party or a baby shower, it really starts with offering room in my heart and in my home to my own family. I also forget the capacity and power it has to display the wonder and personality and delight of God practically to another person! Sally and I are talking about real hospitality for real people in this week's podcast, and beyond all that we do to welcome others in to our space, what it means to welcome them emotionally and relationally too- because that kind of hospitality might be an even bigger deal. If you want to welcome your family in with some true warmth, extend beauty to your community, or if you just need some encouragement to see your home as a valuable place of life and ministry, I hope this is an encouragement to you! These days after Christmas can be so gray. I find myself clinging to light, and any drop of color, even in muted tones, captures my attention. We're doing lots of window sill sitting when the cold keeps us inside. And I've been going slow here, working out our routines and creating steady days after the holiday break. I've been saying no to much more than the striving side of my personality is comfortable with, but its so so good to be able to fully embrace all I am saying yes to. One yes, that I enjoy and thrill at being a part of is this little podcast that you have all responded to and shared and embraced with such enthusiasm! What started as a whimsical idea to share our conversations with others has grown into a flourishing community that I am so thankful for. It is really a delight for Sally and I to talk with you each week. If you've found January to be a little gray too, if you are on the hunt for beauty and light and conversation to inspire your heart, I'd love for you to join us! You can follow along with this link to our iTunes page and subscribe to the feed, or just play straight from your computer. This week's podcast is one of my favorites that Sally and I have recorded thus far. I think because it hits right in my season, right in the tensions of teaching and training my children and my deep longing to inspire them. I often wonder how we can, as mothers, give our children a foundation of character and conviction that will cause them to stand and be kingdom bearers in their own generation. It seems that such a lofty goal is one that can only be inspired in their hearts. Would love to have you join us! Today, some dear friends are releasing their new book! Hoodwinked is out in stores and on amazon and everywhere else books are sold and bought and treasured and you should pick up a copy stat. Ruth Schwenk and Karen Ehman's book is all about the modern myths of motherhood and how we must combat them with the truth of God's word. Sally and I thought it would be fun to record a short podcast to celebrate these friends who mean so much to us, and to tell you about the myths each of us has struggled with most. We'd love to have you listen in and join us in the pages of Hoodwinked, we really believe its a book you will enjoy and that will bless you as a mom. You an listen to the podcast right here by clicking play, find us on iTunes at At Home with Sally, and click the link of Hoodwinked to purchase a copy at Amazon! Grace. I want to lap it up. Today, Sally and I are talking about grace in discipleship and how it becomes a foundation for everything we do. I hope you will join us! You can listen here by clicking play or find us on iTunes under "At Home with Sally." I've heard Sally say it so many times. But now, I'm feeling it. My days begin much as they always have as a mother, my youngest is just seven and so we are up early, making breakfast, getting hair and teeth brushed, preparing for school. The difference now, however, is that my teenagers are up late at night- those moonlit hours are when they finally want to talk, to open their hearts and share their worlds...and lately, I'm just so tired I can barely keep up with them. Discipleship looks different in this season too. Do I walk beside or continue to lead and guide and shape these children who appear so much like adults before me? Gone are the days of simple instructions, now we are steeped in deep discussions about calling and gospel and its literally working out in their souls and lives. I feel like I'm growing right along side them, learning how to mother in this new season that is stretching all of us. Are you there too? Wondering what discipleship looks like as motherhood moves forward? Sally and I are excited to be talking about Discipleship for our next podcast series. We so hope you'll join us. You can click on the link below or find us on iTunes on the At Home With Sally channel. A very real look into the reality of our days. Legos and letters and dog tails wagging are all part of normal life around here. I feel most like myself on the floor of my living room. Projects swirling around me, my children sprawled on their tummies or tucked into corners of the couches reading books, and something simmering in the kitchen. I love to putter and fluff pillows and talk and play in our cozy space. Finding our homeschool rhythm has never come easily, and it often changes as my children grow and enter new seasons. I've often wondered if I would be able to keep going, if I should keep going, and if I was doing it all ok. There have been so many times in my years of mothering when I have been tempted to listen to the strong, loud, and convicted voices of others around me. The ones who tried to convince me that a particular curriculum or school or program would resolve all my fears and produce a desired result in my children. I wish it was that easy. But, as in all of life, homeschooling is messy. There are no tidy answers. There are however, some sure foundational principles to build on, and to see come to life in your home, your culture and the personalities in your family. So how can a mother who is questioning, learning, pouring out, and who is in all likelihood also quite exhausted walk in faith and authority to care for her own babes? To teach them, to train them, and to delight in them? Sally and I are thrilled to be sharing about this topic today on our podcast. We'd love to hear what you think and some of the anchors that are a blessing to you as you manage your days. Feel free to share in the comments or send me an email! I can't get that line from the famous children's book out of my head today. The Wild Things made little Max come alive, they made him their king, and hung from trees and danced by firelight...but then they wouldn't let go and nearly ate him alive. Sometimes motherhood feels like that. Sometimes the things and people we love most can wear us thin. How can we keep our hearts and our heads focused on what really matters in the midst of it all? The reality around my place this morning is that responsibilities are mounting and seem unending. I woke to dishes undone, a writing deadline that I have let slip by, one child who is crying over having completed the wrong assignment for her math class, another with a fever. The dog needed to go out, tea and coffee needed to be made, a construction crew is jackhammering outside my kitchen window and every single charger is missing while every phone and computer needed for the day is about to shut down. Its only 9 o'clock. How can you guard your heart and soul in the inevitable hustle and busy seasons that stretch before you, and that you currently find yourself in? How can you maintain an active mind and a sure strength for such times? "Let your soul shine from the treasures you have stored inside through your eyes that smile and your face that shows love, so that you can bring light to all who are in your world!" We have been so overwhelmed by your response and encouragement and are so thankful you are joining us each week. To make it easier for you to subscribe, we're just calling it The Kristen and Sally Show. You can listen here on your computer or mobile device by just clicking "play" below or you can subscribe to our feed on iTunes right here. October! Orchard of the Year! Ripened seeds share their pods. Apples drop in the stillest hours. Leaves begin to let go when no wind is out, and swing in long waverings to the earth, which they touch without sound, and lie looking up, till winds rake them, and heap them in fence corners. The woods are thinner, so that we can see the heavens plainer. The days are calm. The nights are tranquil. The year's work is done. She walks in gorgeous apparel, looking upon her long labor, and her serene eye sayeth, "It is good." I've noticed something recently in education. I'm not sure if its old or new, a growing trend or perhaps I'm only just now noticing, but I believe we are offering up dry, stale goods to children with appetites for delicious, whole, rich, and colorful food. Fill in the blanks and worksheets and drills occupy much of the stuff that our children are being fed, while teachers and busy mothers alike, nick off boxes and breathe a sigh of relief that the day's information has been duly tucked into young minds, that the regimen is carried out, and preparation for standardized tests has been accomplished. Check. Formulas reign. Methods have become madness. Childhood wonder walks out the door. What if there was a way to educate our children in the necessary disciplines while inciting greater curiosity? What if there was a way to get it done while simultaneously forming attachments between students and their subjects? Spelling and grammar could have been taught using lists and explanations of rules, but instead, we decided to capture some of the beauty of Autumn on the page and see what we could dig out. My daughter read the passage above and then compared it with another poem about fall (by a different writer, albeit also written in the 19th century). She set out looking for common themes, imagery, and lyrical patterns. I wrote a few key lines on the board and we discussed their meaning, closed our eyes and tried to imagine our selves in the world described. I love watching my children be immersed in great writing! They are apprenticing themselves to the masters. A further activity could be to have the child memorize the passage and recite it, or write it from memory. As the year progresses, dictation will grow into larger chunks and paragraphs to be written out. It takes quite a bit of concentration to master dictation properly after just one reading! 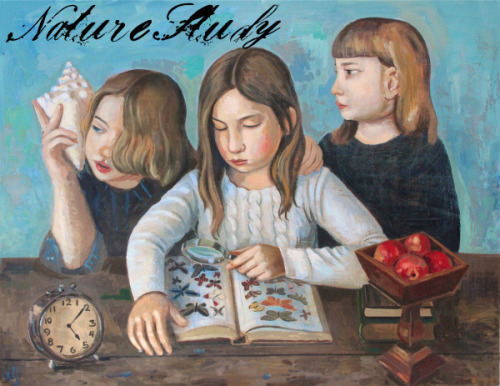 A student with an inclination to art could also paint or draw a picture to accompany it. I love this picture. My feet are snuggled in my favorite boots and I'm standing with a latte in hand in one of my favorite places- the yard of Princeton University. I have always loved learning, and I've never felt like I took enough advantage of my own University experience- its been left wanting. Its a dream of mine to go back to school when my kids are a little older and each fall, after we pick our pumpkins and navigate the corn maze, feed the farm animals and walk through the village, that dream catches fire in me again as I stand in this very spot year after year. I think its hard for many of us who are moms to consider the dreams we hold in our hearts, isn't it? Because when we're raising a crew of kids and in the mad rush of their seasons, and classes and all the change and laundry and dinners on the table, it can feel selfish. I'm embarrassed sometimes to tell all my girlfriends that what I dream of is a life spent in libraries, poured over poetry and literature and art history. We can forget as we care for our families that our dreams matter, and that as we secure their happy days, the most valuable resource we have to offer them is a flourishing mother. Sally and I are talking about just this thing on our podcast today. These words from her struck a chord, "A mother must plan how she will fill her own heart, soul, mind and strength as she is the most important factor in helping her family to flourish. If a woman is not filled, she will not be able to accomplish all of those great plans or build healthy relationships or mentor her children." So how are you filling your own heart, soul, mind and strength? If God has instructed us to love him with ALL these things, then we need to recognize that they are areas of our lives that deserve our attention and cultivation. We'd love to have you listen along and join us as we discuss the Heart and Soul of a mother today on the MomHeart Podcast. You can use the player right here or find us HERE on iTunes. Oh friends, today is such a fun day, with an announcement I am so thrilled to share! The new MomHeart Podcast is live! Sally Clarkson is a long time friend and mentor who I have had the privilege to work with for the past five years. There are few women I admire or respect more. Her books began to open my heart to a vision for motherhood when my children were itty bitty and our friendship has been full of adventure and camaraderie and chocolate.... Podcasting is as close as we can get to inviting you into some of our conversations! We would love to have you join us on iTunes or by clicking play right here. We'll be recording each week and we'd love to answer your questions, and speak to topics that are relevant to you as a mom. Today, we are introducing you to who we are and a peek into our lives and ministry. Would you let me know what you think? And what you'd like to hear us discuss? You can leave any specific questions or topic ideas in the comments. Here's to a great beginning! Dreamy poolside shot taken in the Hamptons by the ever-talented, and always hunky, Josh Kill. This week my sweet friend Sarah Mae came to stay with me for a few days, and as we were talking, our conversation inevitably turned to books. We love them. We write them. We can't stop reading them. As we pulled titles off my shelves left and right and snapping photos of covers, it became such a ridiculous flurry of pages flying that we eventually just said, "You know what, we just need a list." So, of course, the list is going to be the form of a blog post, ahem. I realized its so easy to spend time as homeschool moms talking about what books we have our kids reading or want them to read, that I forget how excited I am about the books I love- the ones that have shaped me, and taught me and become dear friends. These aren't the big tomes that make your head hurt, but they are thoughtful in their own way. They are poignant enough to stretch your soul,but light enough to take to the beach and still feel like you are on vacation. Fiction and non-fiction, they have caused me to pause, to think, to smirk, and I hope they do the same for you this summer as you sit poolside and let your kids splash or find yourself on the fringe of a ball field or tennis court. I hope your mind has a chance to wander just a bit and that the expanse of summer stretching out before you is better with these friends along for the journey. I pull this one out every summer. I am fascinated by Anne Morrow Lindbergh's life. She suffered so much after the loss of her first child, was a gifted aviator and one of the heroes that inspired me to learn how to fly. She was also a mother of five and endured a very public life with grace. She knew how to care for her soul and tucked away to the beach each year to be alone and to write. 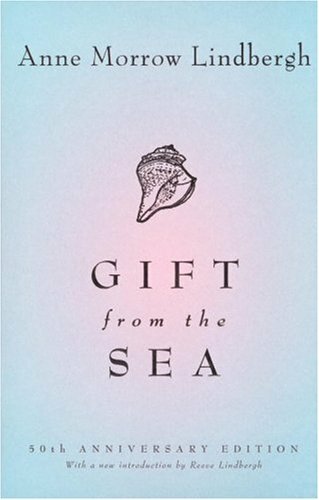 This book is a reflection of the shape her life takes, as compared to sea shells she gathers, through various seasons of caring for her family and experiencing the nuances of motherhood. Poetic, thoughtful and inspiring. 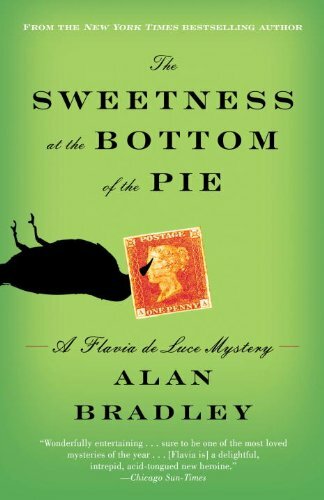 The Sweetness at the Bottom of the Pie is the first of the Flavia DeLuce Mysteries-my favorite series to have read in a LONG time. Set in the post World War II English countryside, Flavia is a precocious eleven year old, with a knack for chemistry and mischief, and solving crimes. These books are just delicious. Especially for the Anglophiles among us who are desperately waiting for our PBS favorites to return this fall. I can not say enough about this series. Made up of three books, Out of the Silent Planet, Perelandra and That Hideous Strength, these are a bit on the heady side, and the first book a wee bit of time to get into...but don't quit! Its so worth your time. Written before the space race and all the scientific knowledge we now hold, this series allows for pure imagination to soar as it explores Earth's place in the Universe, what else is out there, and in poetic mastery, offers a glimpse of what might have been before the fall of man. 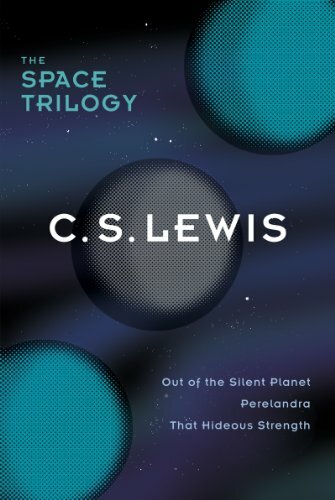 The third book is my absolute favorite, a fictional account of Lewis's acclaimed, An Abolition of Man. My copy is underlined beyond reason- just so many nuggets of truth and ideas to chew on! Not gonna lie here, when I picked up this book I thought it had something to do with the Alice of Wonderland fame and within the first few pages was thoroughly confused. But by then, I was hooked. 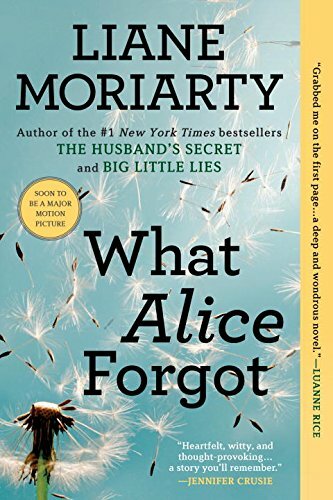 After an accident at her gym, Alice wakes up with amnesia, having forgot the past ten years of her life. Children, marriage trials, friends....all of it forgotten. For those who live with a healthy dose of sentiment, or who wish they could do it all over again differently, this book is going to be your jam. 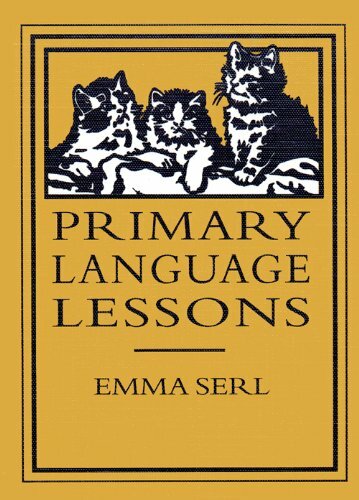 I just found this book fun. Seattle, Antartica, Microsoft, a delightful daughter and a mother who loves her deeply, yet also struggles with wounds from her past. 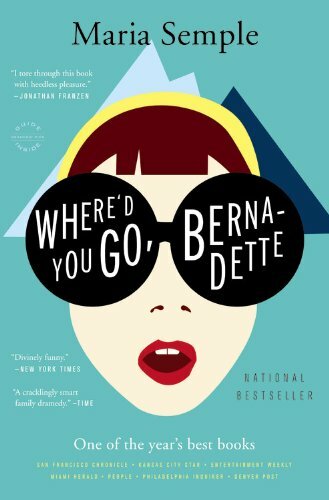 Written in a light style with unpredictable and endearing characters, reading this book felt like being on vacation- its the prefect summer escape. 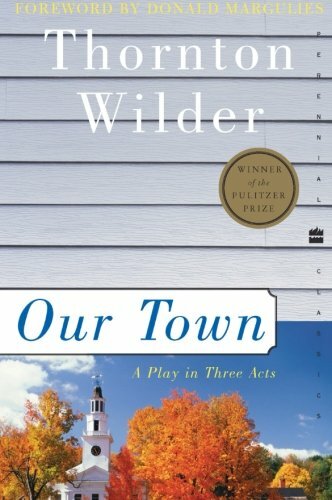 I read Our Town every year. Its a quick read, a play in three acts, but it never ceases to change my perspective on life and family and my intention to live each day fully. My favorite quote, "Do human beings ever realize life while they live it?" Indeed. This is a great classic to enrich your everyday and remind you to live life to the fullest and love your people well. I have a soft spot for this book, another by Thornton Wilder. I recently found hardcover copies on the clearance table of my local bookstore and bought them out so I could give them away. 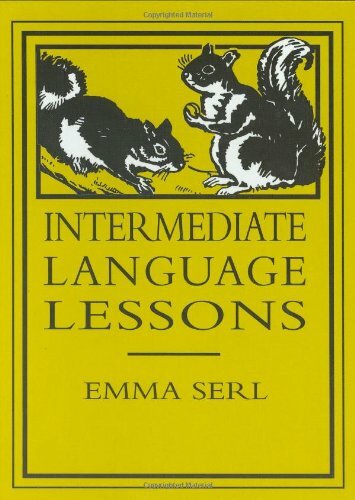 I read this for the first time in the eighth grade after I found a copy in a box of things that belonged to my late grandfather. 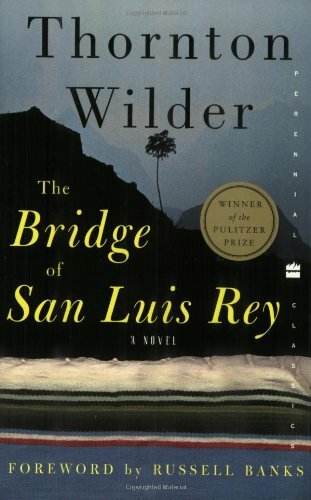 Set in Peru, a priest seeks to discover the meaning of life and death after a suspension bridge falls into a canyon, killing five, seemingly unconnected people. Why did these five people die? What meaning did this hold? What secrets did their lives hold that would lead to understanding God's mercy and sovereignty in their deaths? Thoughtful, poetic, philosophical and so beautifully written. Always a favorite. I fell in love with the work of Henri Nouwen when I read his thoughts and reflections on the parable of the Prodigal Son and on the artistic depiction of the same name by Rafael. (Maybe add that book to your list as well?!) In a world where so many seem to be building their own resume's and personal kingdoms, Nouwen, already a renowned author and leader of the church, takes a position working with mentally disabled adults who couldn't care less about his credentials. His experience into true humility helps guide anyone in ministry to focus solely on the heart, solely on the people before them, and solely on all their work being done for the glory of God and not man, in a way that is both compassionate and convicting. A must read for anyone in leadership! Can't make it to Italy this summer? Why not travel there in via the pages of this classic instead. Set in the turn of the 20th century, the remnants of Victorian society are beginning to be replaced by more modern notions as a young woman and her chaperone take up residence in an Italian Pensione filled with a community of characters that become quickly beloved. 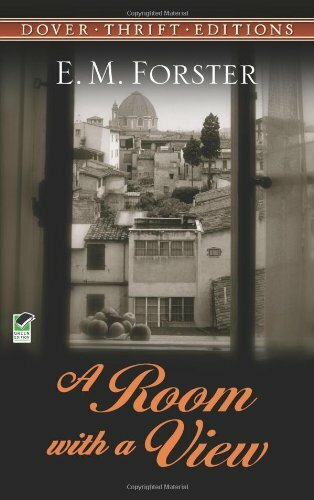 A story of love and coming of age with ample descriptions of the Italy we all long to explore, this book feels like a rest from the fast pace of 21st century life. During the French Revolution, the Reign of Terror sent the blood of aristocrats flowing through the streets of Paris, indiscriminate of virtue or guilt, everyone with ties to the throne was in danger. A group of English noblemen offered aid to the innocent being hunted in France, secretly ushering many across the channel and risking their own lives in the process. This is the story of one of these brave men and his band, known only as The Scarlet Pimpernel. 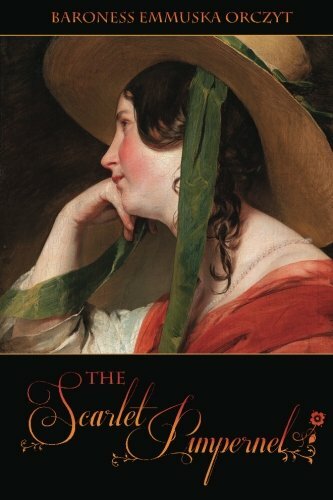 A tale of love, intrigue and disguise, and also of great historical importance, it is a delight to read! Also, easily followed up by the cinematic classic for a family movie night! Do you have any favorites you'd add to this list? I'm taking notes! I've been thinking about you and about this little space online lots these days. My pen has been flowing and my keyboard tap tap tapping, but so few of the words pouring out have landed here lately. Sometimes I forget to link up what I'm writing and sharing in other places online. One of the pieces I'm most proud of lately is over at The High Calling. I think it speaks to where we've been and where we are going as a family in New York- and the shift in my heart to stay and invest here and dig deep roots to make it home. This little blog is my (preverbial) home too and sometimes I forget that! Sometimes I get so exhausted with deadlines in other places that I forget how much I truly love this space and want to put it first. I'm always amazed at the ease at which I begin prospecting. I forget to hunt and seek beauty right where I am and start looking for fullness all around me, outside of my current life and in every direction. I'm Apparently I'm not alone in this. Experts tell us that millennials more than any generation before us will struggle to stay put. Where my parents and grandparents defined risk as embarking on new adventures and settling in new places, my generation struggles to embrace the value of a life lived in one place. We are always on the move, on the lookout for the next big thing: a new occupation, another person, or even a better place to call home. Wonderful qualities are born through this transience: a spirit of adventure and innovation, an entrepreneurship and independence that soar. The dark side, however, can leave us all dry, as the value we place on everyone and everything around us is reduced solely to output—what can be counted and measured. So we push and squeeze to get the most out of everything before it fizzles and steams in screeching decline, soon to be tossed aside into the pile of people and places, jobs and experiences that fill our resumes and round out our anecdotes. What we may not realize is that the more we blaze through and the more we consume, the more we toss our own souls right into the pile among all we are done with. Sustainability becomes impossible when we are on the prowl for what will serve us next. When we aren't getting what we need from a thing or a place or perhaps even a person, when we feel we are expending too much of ourselves and receiving too little, what we once defined as sacred becomes disposable. Our affection and attention shift back to … ourselves. I'd been striving for so long to make New York fit. I'd been striving so long to make a life of written words that would settle into hearts, to make a home of beauty for my family. I was so desperate to see my life bear fruit, to see New York water my work, to shine on it and make it grow. I'd placed the value of my own life on what I could produce. My own soul was crushing under the system I had created where I wanted more and more and more. I could never be satisfied. Striving in my own strength had finally produced a fruit that settled foul in my gut and left me utterly hungry and impoverished in heart. I'm convinced that there is never going to be an "easy" season of motherhood. There are the days that seem to go by in a blur and without consequence, others that hold immense struggle, through circumstances or will, more still that give me such great pride and laughter, and yet always there is an echo of how far we have come, seasons we have laid to rest as our children have grown and as we have grown along with them. Our lives transforming into something new and beautiful and perhaps unexpected. My current days feel unexpected. I had no notion of what it would actually look like to be a mom to teenagers, to have people who have deep convictions and preferences that are not always like my own living under my roof. I had no idea that I could feel so strong and so vulnerable in the very same moment, that in days so full they are nearly bursting, I would still feel like it was never enough. That there is no amount of time that will ever be enough to enjoy these people that call me mom. For both camps, and all the rest of the mamas in between, I'm teaming up with UncommonGoods for today's Friday Finds Edition to share some Mother's Day Gift ideas (And a giveaway!) I adore this company. It is so rare to find a brand that is working so intentionally to support and provide a platform for local artists and designers (over half of what they sell is made by hand! 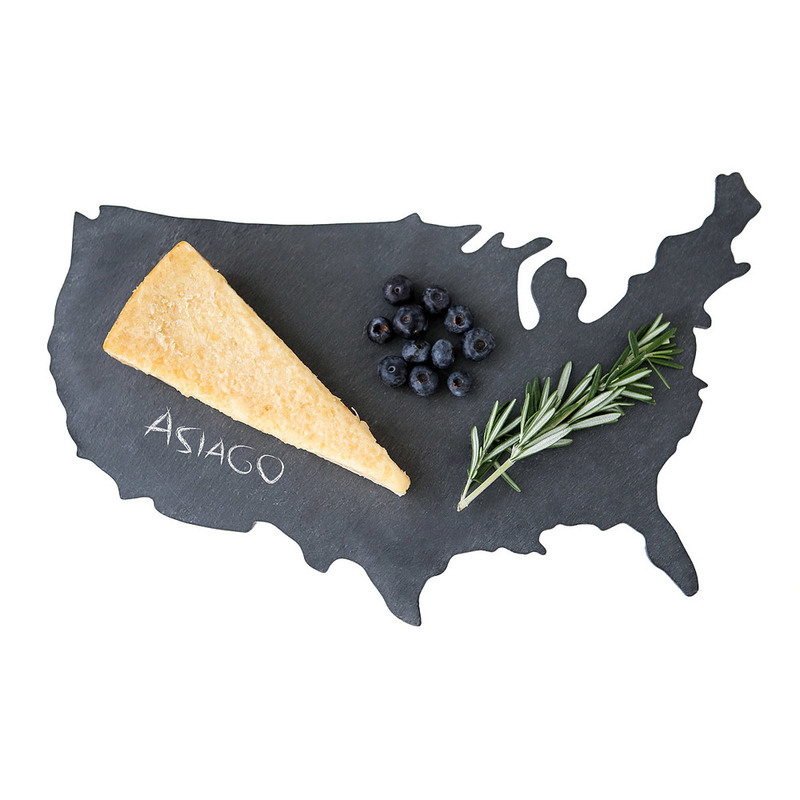 ), and has such a commitment to products made ethically in the USA. All sales at UncommonGoods also supports non-profits, including one of my favorites, City Harvest, which is on a mission to end hunger in communities throughout NYC through food rescue, distribution and education. I love that they cultivate beauty within and then spill it all over the city (and beyond.) Kind of like moms. 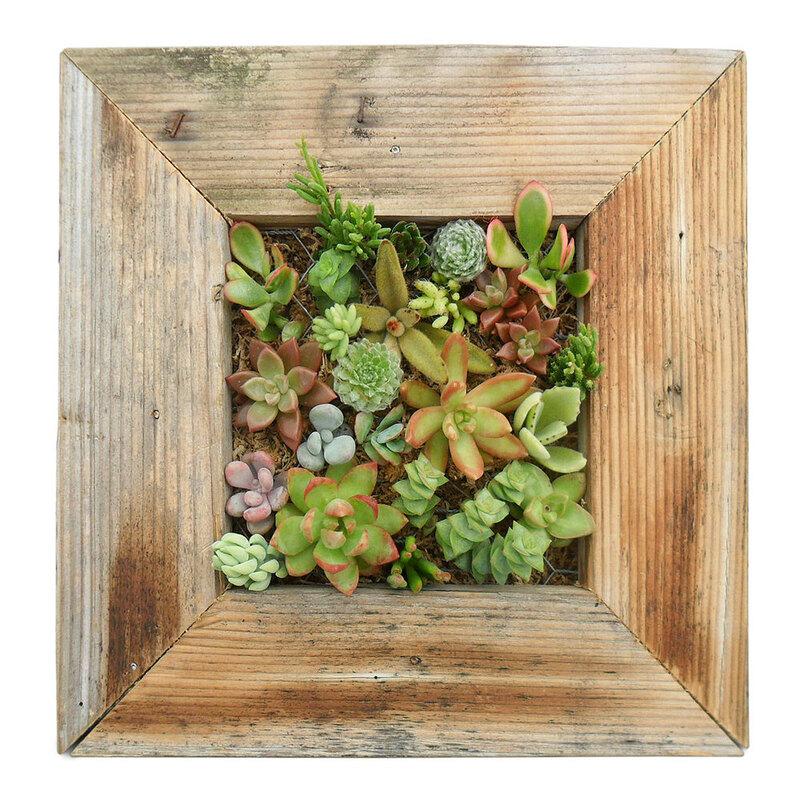 You can click on each of my picks in the gallery below for a run down of why I'm swooning over them, how I use them in my home what makes them each unique. There's also a handy link for you to click on over to the UncommonGoods site to explore and shop for all their great gifts for mom yourself. In the thick of crazy days and years and seasons, beauty really does cut right in and make itself at home. I hope you feel that deeply this Mother's Day and are able to carve out even a small string of minutes to reflect on what brings you joy, what brings you life and the sacred work of how you are offering a life poured out to your family. Want to win $25 towards your purchase at Uncommon Goods? Use the rafflecopter below! This word has been chasing me all week. It is defined as "one who spends or gives lavishly or foolishly, one who moves toward or closer to someone else." When I think of the story Jesus told about the prodigal son, I instantly identify with the shame and squander of the man returning. The son, wishing his father was dead, claims his portion and leaves home only to loose it all. He returns a defeated heap of a man, an utter mess, ready to beg for the position of a slave in his father's house. Just thinking about it makes my chest tug and twist with my own grief over possessions and experiences I have felt entitled to and over gifts I have not stewarded well. I so get this guy's grief. Often, I can even camp out in my own shame so long, that I miss the picture of a God who is wanting to spend lavishly and foolishly on me. Anyone else skip over that part the first time too? The father, upon his son's return, throws an extravagant feast, kills the fattened calf, and embraces his son beyond all reason. He doesn't wait for him to come with apologies, but races to meet him on the road. And then, beyond a greeting, he spares no expense to love on this child even further: the son who has already squandered, already proven he is unwise, has a party thrown in his honor. In the eyes of the world, this father hadn't learned a thing. He was a fool. He was throwing away what was left of his estate on a son who had already spent half of it. In all honesty, I sometimes struggle with the prodigal father, the one who spends it all and then some on a son like that because ultimately, I struggle with receiving gifts that are completely undeserved. I'd much rather earn my share. But when I take a moment to consider one of my own children walking up the driveway... Returning... Found... All justice flees. I can only picture my own uncoordinated sprint towards them, watching them come, longing to be closer to them and then scooping them up and never letting them leave my arms. Shame and disloyalty, bitterness and broken hearts all fade away in a moment like that. Love is all that is remains. Love is what compels the prodigal father to prepare that feast, to spend even more on this lost one. And, it is what motivates our Prodigal God to move toward us, to die in our place, to spend his life lavishly, brutally, fully and then some... on us and for us - his wayward children. I want to be a prodigal mom. I want to be the kind of mom who pursues, who moves toward my children, who seeks to pour out my own life for theirs when to all the world it seems foolish. I want to embrace, to comfort, to reach into the dark places where they are camping out, and be a bearer of truth and light and affection. Especially when there is nothing to recommend them to reward. When they flop and fail and lose control, I want my love to seep into their souls and echo the voice of our Prodigal God: "You are held. You are seen. You are known. You are loved beyond condition. You will always be pursued. Always Welcomed. Always in my care." My prayer for you is that you will run with abandon to the One who has spent it all on you because He loves you. May what you find in his arms fill you up to love your children with lavish affection. What can you do to run to them today? Today is my 15th Wedding Anniversary. You guys! Fifteen.Years. Sheesh. I can't even believe it has gone by so quickly- it is all an absolute whisp and at the same time, all the moments when I wasn't by J's side have all gone fuzzy. When I walked down the isle toward J, I was wide eyed and 20, ready to embrace a beautiful life with him. I felt bold and independent and serious. I also felt a little shy. Champagne pink for a noon wedding with coat tails on all the gents and a brunch reception. The light in the orchard behind the church was pale and gray. Tiny blossoms on the pear trees just begining to unfurl. The air was crisp and damp. The smell of the earth was pungent, the rough shell soft and ready for bulbs and color to burst forth from beneath the surface. The sky had let out all its winter tears and was ready to shine a warm blanket to what lay below. When you inhaled you were breathing in new. And right there amidst all the signs of Spring, a new marriage was borne in the new ground, among new bloolms, that had yet to bear the season's fruit. We were so in awe to stand in Spring's delicate promise that day in March. The scent of blossoms, even those tiny and wrapped in buds catches your heart and you just know good things are going to come. When I think of my wedding day, all I see is champagne pink and flowers and light. I see light as my grandmothers squeeze my hands and kiss my cheeks. I see my head nuzzled on the shoulder of my grandfather, before he was sick, when he was so so strong and his arms felt so secure. I hear his chuckle while his chest shakes and he whispers delight in my ear while he holds me on the dance floor. I see my mother's dark eyes pooling every time our eyes meet. Neither one of us can talk about all the sweet and all the bitter that carries a mother and daughter through happy moments and changing seasons that mean parting. Neither of us wants any sort of parting or any sort of change. But we are together. I see my arm looped through my father's and all I can do is feel full to bursting that he is my dad and I am his daughter and that I'm not walking through the center of 500 beloved alone. He will keep me steady. And that man. Oh that man waiting for me to join him in all this new. I don't even have words for meeting him at the altar. But I know when I met him there, it was all pink. Today I'm walking in red. I'm even wearing red lipstick. I'm more surprised than anyone that it seems to suit my face. . . that today I don't want to wipe it off it a mad dash of tissue paper. My mother wore red lipstick almost every day of my growing up life. She would take me with her to the counter at Estee Lauder on our weekend trips to Seattle, and the counter girls all knew her name, and loved her and told her she was beautiful, and she knew just the right shade every single time. My grandmother wore red too. She was a beauty queen. More than that really, but what she really meant to our little town is a story for another day. A giant copy of this photo still hangs in the museum where I grew up. It feels almost reverant, trimmed by a giant frame. When I was a little girl I would rush into the gallery where it hung so that I could see her face. That was my grandmother. And she was beautiful. She's been gone more than two years, but I can still seek out her larger than life smile. And her red lipstick. I never saw her wear lipstick like that. I couldn't even imagine it. But I knew that she had and that she had loved it. And when I was young I dreamed of the day I would wear red like she had. With red all around me, I wanted to try it on. When I was ten, I took my mother's makeup samples and applied everything just like she did. Just like the ladies at the make up counter. I swooped and swooshed my way through eyeshadow and liner and blush. That red lipstick was the final touch. I loved every inch of the face staring back at me in the mirror. But, I was woefully aware that it was too much for me. Too soon. Too young. Someday maybe. But for a while I knew pink watermelon lipsmackers and and wet n' wild blush were going to be my jam. And now here I stand wearing red. Bright, bold, wild, red. Fifteen Springs into marriage, and this is my season of bold color and bold living. All those blooms we sensed the promise of way back in the beginning? Some of them are here! And they are beautiful! This is the season of fruition and life teeming so full its spilling out of the form and frame we dreamed of when we were new. This is the season when our home is bustling, when personalities and passions and ideas come from our children too. Its the season of activities and growth and movement, and also holding steady to the anchors of simple meals and devotions and long walks and date nights so that we can just barely catch our breath and dive back in to all that stretches before us every day. Its the season of possibilities and dreams re-awakening as we wrap up our children's little years. Its full of new margin and new strength and new work. And, its the season of responsibilites piling high. Of taxes and mortgages and bills and mapping out a plan for college tuitions, while we look at one another with blank faces and can't believe that we are actually grown ups. Its knees beginning to creak and backs going out and flabby bits unwilling to budge and the declaration each night that we are dog-gone-tired and feel old. To live fully in this grown up, worn-in cozy marriage is more full and colorful than I ever could have pictured while I stood in pink. There is new passion and deep understanding in red. There is new hurt too, but there is more patience to bear it and more sweetness to cover it these days. Mostly though, there is the fulfilled promise known and felt- the deeper, older mother of pink has taken the stage. And she has more wisdom and wit, more grace to give to herself and others. She knows a few of the secrets of those that came before her, those who chuckled and linked arms and squeezed hands and kissed cheeks and stood with her when she was young. And it makes her love them with a deep red love now, because she knows the depth of the life they were looking back on that was only stretching out for her on that first Spring fifteen Marches ago. Now? Life feels deep. And truer somehow. And so now when I wear red? Its right. Its my time. The pink was pretty and pregnant with meaning. It glows in my memory, but this red is so so good too. If you're in pink today? Enjoy every moment. Breathe in all the beauty of being fresh and brand new. It is the sweetest of seasons. But when your season of red comes? You're going to love it. I promise. Central Park is absolutely stunning, the architecture that I take in at the most ordinary moments of my day sometimes steals my breath. There is simply nothing to compare to the aesthetic of Manhattan. I adore it. One of my first and favorite outings when we moved here was to Turtle Pond. Midway between the Upper West and Upper East sides, its a sweet spot to feed the ducks, let the kids roam free and take in the occasional treat from the ice cream or waffle cart. The pond is filled with turtles and the best way to view them is from one of the lookouts at Belvedere Castle, perched right above the pond. The first time we visited, I was struck by the stone everywhere in the interior- where were the bedrooms? Why had everything been stripped so bare? I asked a gentleman at the visitor center who had lived in the castle and he told me about its history: the castle had been built for the people of New York, as a conservatory and lookout. I was floored. The castle itself is so ornate and beatiful, so thoughtful. It became so meaningful to me to consider that others would create something so beautiful for the benefit of future generations and not just for themselves. The more I thought about it, the more I realized Belvedere Castle is only just the beginning. Rockefellar Center, Central Park itself, and countless buildings dotting the skyline hold the same type of character. Even Grand Central Station, a place that could get by with a plain enterance to and from train and subway cars is a delight. The celing is the loveliest seafoam green with zodiac signs and stars that actually glimmer high above. Individuals in New York’s past loved her. They built into her not just what was necessary, but something what was lasting, a loveliness that would permenantly transform the landscape of this city. When you are surrounded everday by the lovely legacy left by those before you, it prompts you to question what exactly you yourself are building. As I build and invest in my family, I started to ask myself if I have the foresight that what I put my hands to in tending the souls of my children will impact future generations? Do I recognize that beauty and loveliness that we impart in our community can be lasting? I must tell you, that as I pondered these things I realized that my own vision was very small…and really, an awful lot about me. What would happen if wherever we lived, in the giving of our time, our money, our resources of talents and personality, we each poured into the cities and towns and countrysides we inhabit in the same way the builders of New York did? What would happen if we raised a generation of children that saw the beauty and responsibility in bestowing loveliness to their neighbors? What if our affection for our cities and towns became so great that we sought the best for her, for years to come in the way we pour out as a family today? What if our families became the hands and feet of Jesus, bringing God’s glory to bear as he began to restore the places where we live and the people who inhabit them for his glory? Its quite a vision for one small family. But its exactly the work God has called you to. Our family isn’t likely build a castle for others to enjoy or a cultural center that showcases grand performances, but for however long our family calls New York home, when we leave, I want to know, want my kids to know- that we have done somthing to invest here, that our presence has in some way transformed the landscape of this city in a way that is lasting. That we are intentionally building with love and grace in this place. That’s really what this whole blog is about. We love, and the city we love becomes even more lovely. We invest and roots begin to form. We collect feathers, one at a time until we have a handful of hope and beauty found. Would you share with me today? What do you find lovely? Has it always been so, or did it take a bit of care to become wonderful first?